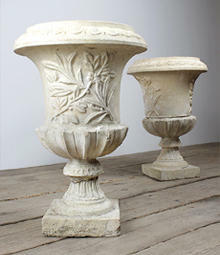 Garden urns are particularly suitable for a more elegant, formal setting and are commonly placed either side of doorways, or on the boundary of a terrace, or on gate piers. 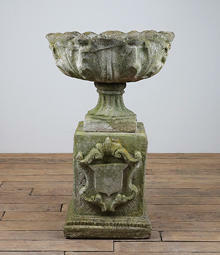 Although present day gardeners often use garden urns as a container for plants, they are usually seen also as decorative objects in their own right. 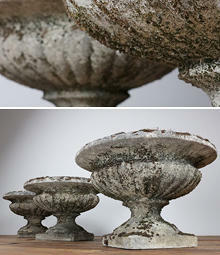 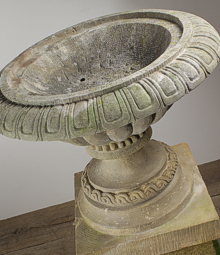 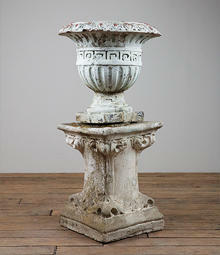 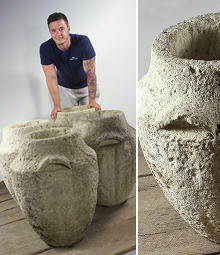 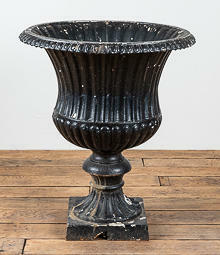 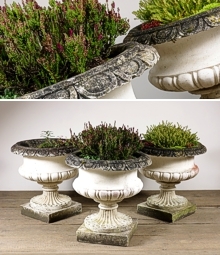 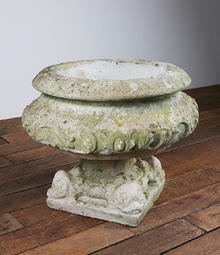 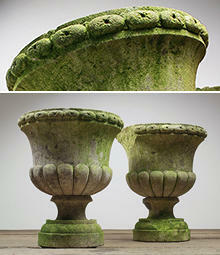 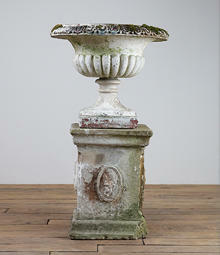 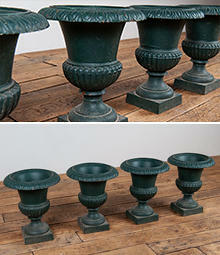 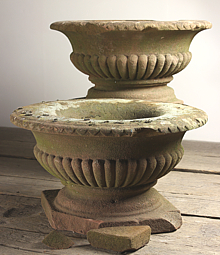 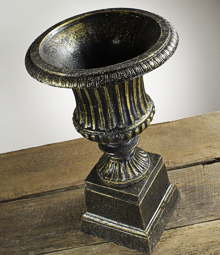 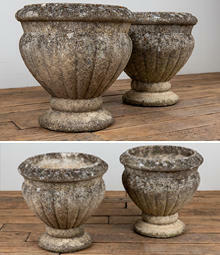 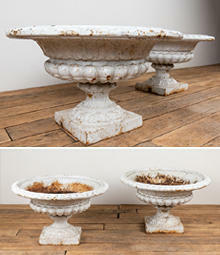 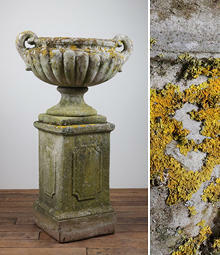 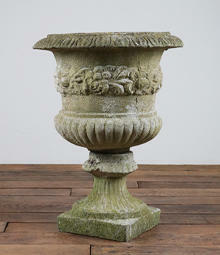 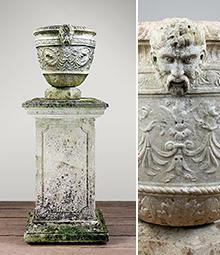 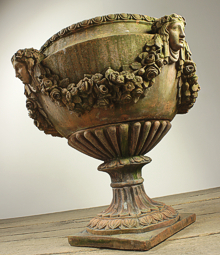 We sell a good range of reclaimed and reproduction garden urns. 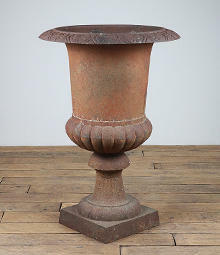 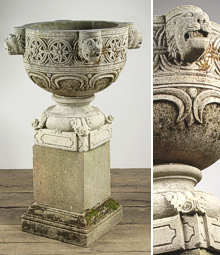 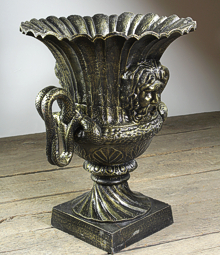 We usually have pairs of antique urns in stone or marble, 19th Century cast iron and terracotta urns, cast iron art deco urns and plenty of 20th Century composition stone urns.We also sell reproduction cast iron urns, based on earlier designs.